There are many ways to get around Stillwater. Below are options to travel through campus and the city of Stillwater at your convenience. The OSU bus system offers more than ten routes for access to the OSU campus and Stillwater community. The buses run Monday through Friday from 6:20 a.m. to 10:30 p.m. during the academic year, and from 6:20 a.m. to 7 p.m. during summer break. There is no Saturday or Sunday service. Students, faculty and staff are able to use the bus system for no charge. The general public can ride the bus for a fee. This information can be found at parking.okstate.edu. The OSU-Stillwater Community Transit bus transportation to Stillwater Regional Airport. Routes run Monday through Friday beginning at 6:20 a.m. and ending at 7 p.m. via the Blue Route. 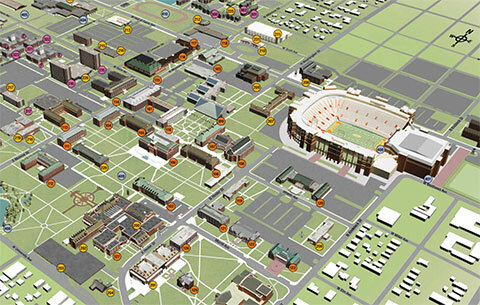 For information about the OSU bus system, including a live tracker, visit thebus.okstate.edu. Stillwater Regional Airport offers short-term and long-term free parking. For more information, visit flystillwaterok.com.